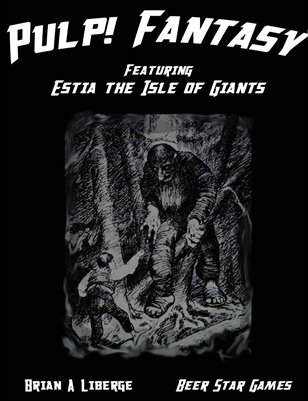 Estia is a wild land filled with undiscovered creatures and hidden dangers. Players control powerful heroes from the very beginning, but death always lurks only a few bad rolls away. The players have the freedom to pursue their goals in any style they see fit: aggressive combat, silver-tongued diplomacy, or elaborate scheming. The Pulp! system supports these modes of play with ease, allowing you to switch from one of these tactics to another without stopping the scene to reference a separate set of rules.